A New York City teacher is officially one of the best educators in the world. 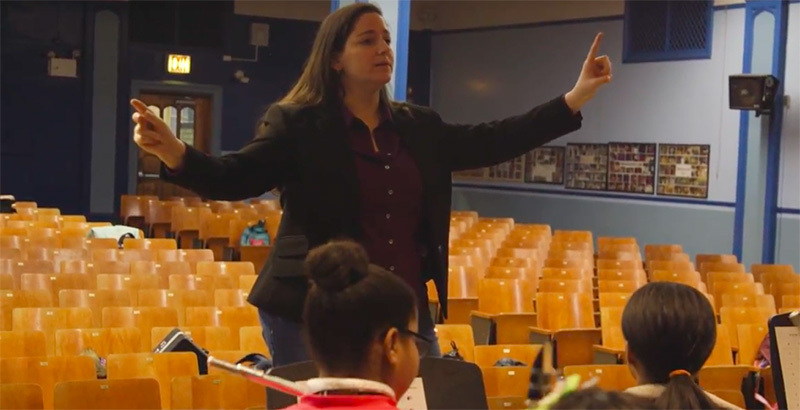 Melissa Salguero, a music teacher from P.S. 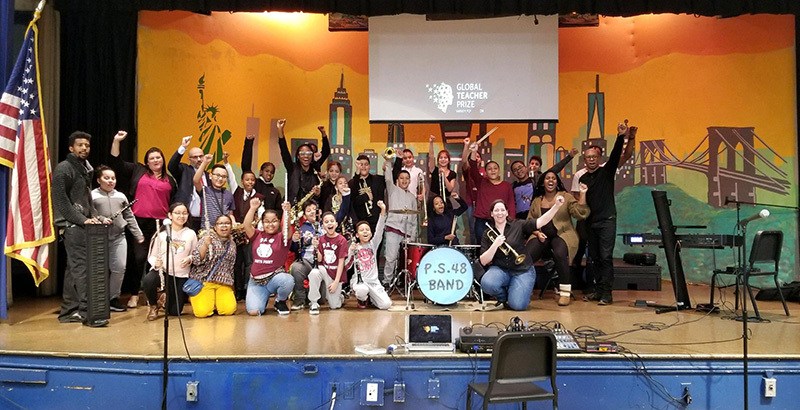 48 Joseph R. Drake Elementary School in the Bronx, is the only American among 10 finalists for the Global Teacher Prize. She was selected from more than 10,000 teachers in 39 countries. Salguero’s students learned their teacher was on the short list Monday during a school assembly. They exploded into cheers when they heard she is one step closer to winning the prestigious award from the Varkey Foundation that comes with a $1 million prize. Salguero started a band program that has improved student attendance and increased student confidence at a school where a majority of students live in poverty. She has raised hundreds of thousands of dollars for instruments to keep the program going. Salguero says she is motivated by her own experience in school, when music helped her overcome low self-esteem caused by dyslexia. This is not Salguero’s first time being recognized for her hard work. She received the Grammy Music Educator Award in 2018. She was also featured on Ellen in 2014, when Ellen DeGeneres gave her a set of instruments and a $50,000 donation to replace several that had been stolen from her school or vandalized. The Global Teacher Prize has been awarded and funded annually since 2015 by the Varkey Foundation, an organization that aims to improve education around the world. The foundation is also working with a number of countries to create national teacher prizes as part of its mission to elevate the teaching profession. Last year, Andria Zafirakou, an art teacher from the United Kingdom, won the prize for her work with low-income students outside London. The 2019 winner will be announced March 24 at a ceremony in Dubai. Actor Hugh Jackman announced the finalists in a video last week.